Jonathan Barthelmess, Owner & Chef of Sydney’s favourite restaurant, The Apollo, will head north to join forces with Matthew Kemp, Executive Chef, The Byron at Byron for a Mediterranean inspired rustic culinary collaboration. Food lovers can choose to revel in an extravagant four-course Greek feast on Friday, August 10 or stay the weekend and enjoy the perfect blend of intuitive service, impeccable detail and stunning natural surroundings at The Byron at Byron. A highlight of the weekend will be the Mediterranean share style feast with Barthelmess and Kemp using the most delicious produce the Northern Rivers has to offer. Renowned Apollo dishes on the menu include the Taramasalata Mullet Roe Dip, Grilled Octopus and White Chocolate Poached Rhubarb Honeycomb. The spectacular Greek Roast Lamb will be served with mulled wine allowing guests to indulge in the backdrop of the sub-tropical rainforest. Matching wines will be provided by St Hugo, with a St Hugo wine specialist in attendance to take guests on an exquisite wine journey over the course of the evening. The St Hugo Riesling V18 and St Hugo Shiraz V15 will be served throughout the evening. Barthelmess is one of Australia’s most exciting chefs. He was greatly influenced by his mentors Stefano Manfredi and Janni Kyritsis, both masters of Mediterranean cooking in Australia. 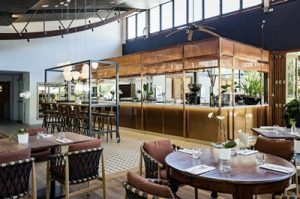 Now in its seventh year, The Apollo continues to excite the Sydney dining scene and was named ‘one of the world’s most exciting places to eat’ by renowned restaurant critic Terry Durack. In 2016, Barthelmess opened The Apollo in the bustling heart of Tokyo and he is currently planning to open a restaurant later this year in his hometown, under the Story Bridge on the edge of the Brisbane River. 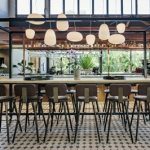 Earlier this year, The Byron at Byron underwent a six week transformation of the Resort restaurant, bar and central facilities in partnership with interior designers Luchetti Krelle and appointed acclaimed chef Matthew Kemp to lead the kitchen team.